Offshore workers are set to be better prepared for helicopter safety training thanks to new innovative technology being launched at a U.K. safety training provider. Falck Safety Services UK revealed new 360° immersive technology at the OPITO Safety & Competence Conference being held in Kuala Lumpur. The virtual reality immersive experience, which can be best viewed with VR goggles and handheld devices, gives delegates a realistic understanding of what to expect during the Helicopter Underwater Escape Training (HUET) exercise. The training, training management and competency service company, which has multiple training centers in Aberdeen and North East England, claims to be the first offshore training organization in the country to introduce the technology. The 360° immersive footage will be used as an induction training aid at the U.K. centers to fully prepare delegates for the escape training before entering the pool and it’s hoped the technology will help to eliminate any concerns or fears prior to the exercise. 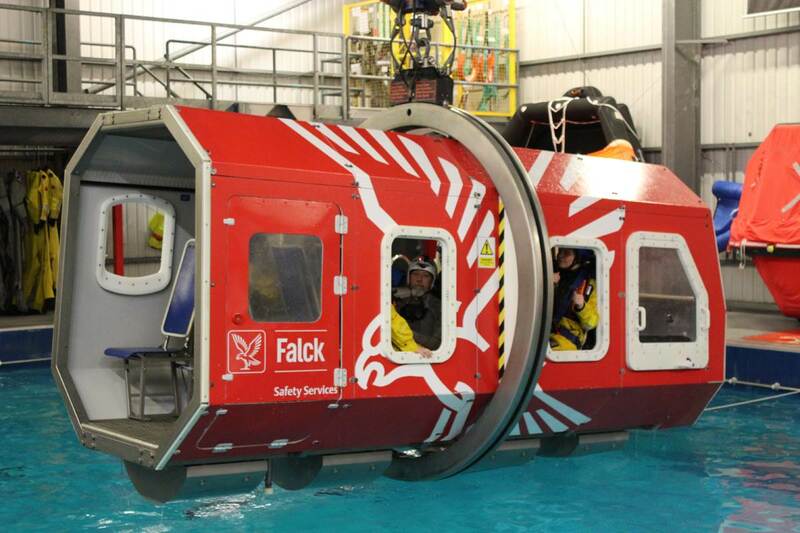 Falck UK managing director, Duncan Bonner, said, “The 360° technology will improve the experience for our customers and their workforce by providing as much information as possible about the training and what their personnel will experience throughout the HUET exercise. Assistant Training Center Manager, Rory Soutar, said, “This is set to be an enormous help for people who struggle with the pool exercises and a good training aid for people who are apprehensive or anxious about what to expect if it is their first experience of offshore safety training. Launching at the OPITO Safety Conference on Thursday, the technology, supported by Neil Weightman Digital in Aberdeen, will now be rolled out across the U.K. centers with plans to roll it out globally across Falck’s additional 33 safety training centers in the near future, the company said. The 360° technology will also be used to create a fire training scenario, with filming taking place before the end of the year. The footage will be used to provide a similar training aid for instructors who are delivering offshore firefighting courses within the U.K. centers. 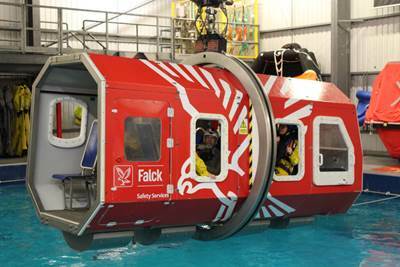 Additionally, into early 2019 the company will look at creating similar 360° immersive environments for wind turbine training at Falck’s custom built renewable wind turbine tower in Teesside, North East England.